In his 4th year as a student at Hogwarts School of Witchcraft and Wizardry, Harry Potter is selected to participate in the Tri-Wizard Tournament. It is during the 3rd task where Harry Potter soon comes face to face with Voldemort. 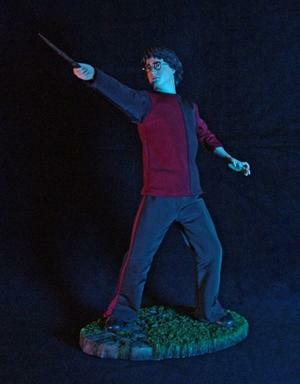 Gallery Collection Harry Potter Statue is designed in 1/4 scale, is fitted in a tailored fabric costume and comes with a hand numbered Certificate of Authenticity. 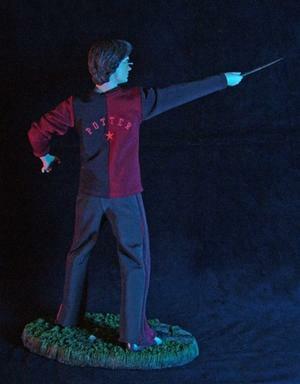 This Statue Stands Approximately 16 Inches Tall. Limited Edition Size of 290 Pieces Produced Worldwide.